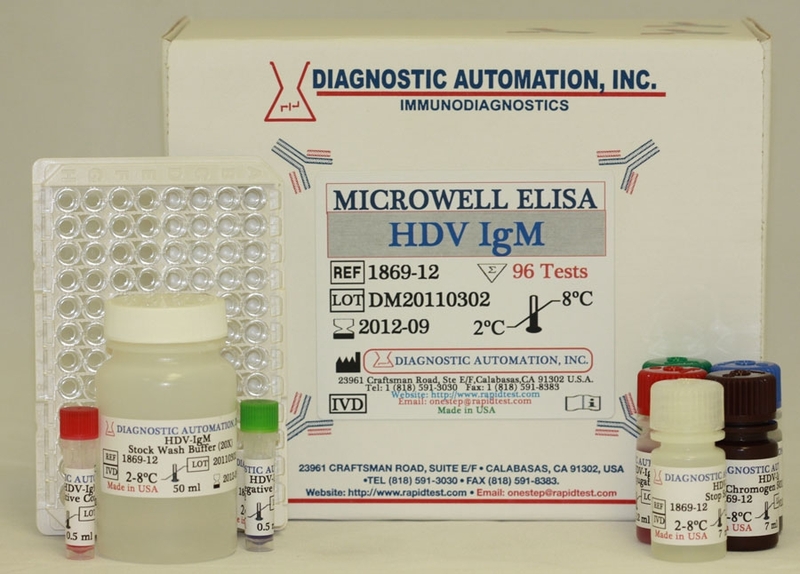 Chlamydia Trachomatis IgG ELISA kit-FDA-CE-818-5913030-USA. 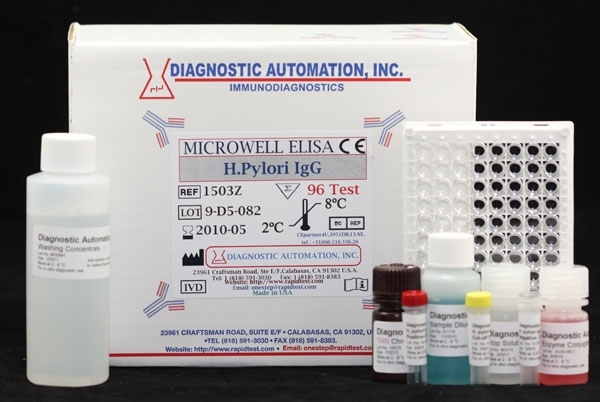 The Diagnostic Automation ELISA, Chlamydia Trachomatis IgG is intended for use in evaluating a patient's serologic status to Chlamydia Trachomatis infection. It is also used to evaluate paired sera for the presence of a significant increase in specific IgG as indicative of a recent or current Chlamydia Trachomatis infection. Chlamydia Trachomatis is one of the most common human pathogens. Of the 15 recognized serotypes, 4 (A, B, Ba, and C) have been shown to cause hyperendemic blinding trachoma, a disease which afflicts hundreds of millions of people in developing countries. Three serotypes (L-1, L-2, and L-3) are the causes of lymphogranuloma venereum (LGV), a sexually transmitted systemic disease. The other serotypes (D through K) have been associated with genital tract infections and sporadic cases of conjunctivitis in industrialized societies. These agents are the major recognized cause of nongonococcal urethritis in men, in whom they may also cause epididymitis. In women, C. trachomatis causes cervicitis and has been associated with acute salpingitis. Infants born through an infected birth canal may contract the infection and then develop inclusion conjunctivitis of the newborn and/or the characteristic chlamydial pneumonia syndrome. 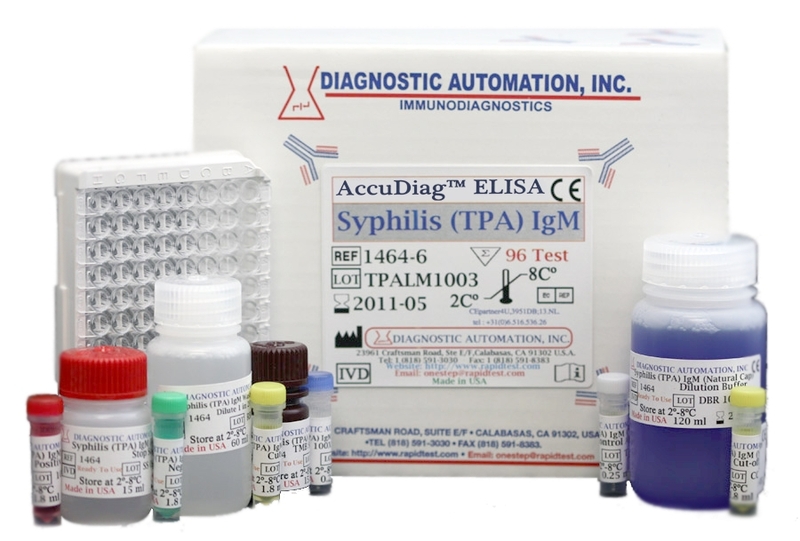 High levels of anti-Chlamydia IgG antibody are of diagnostic value in chronic or systemic infections such as salpingitis, mechanical infertility, perihepatitis, epididymitis, Reiter s syndrome and pneumonitis. 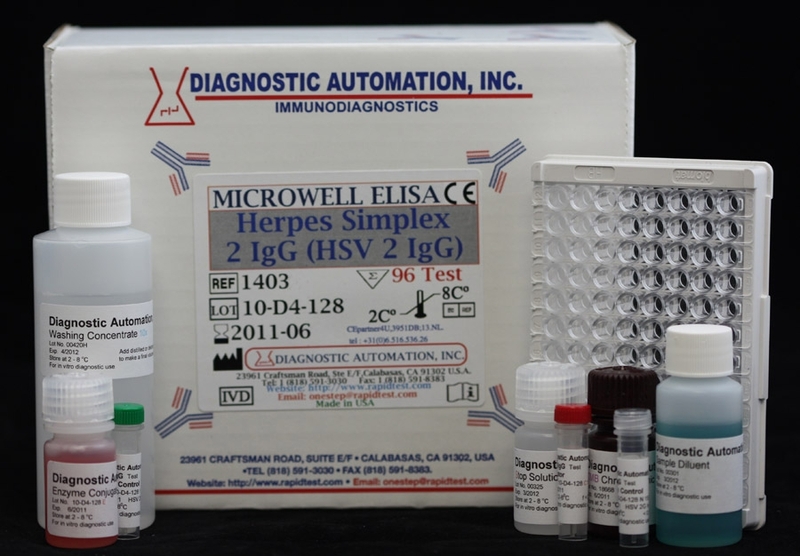 High levels of anti-Chlamydia IgG antibody are of diagnostic value in chronic or systemic infections such as salpingitis, mechanical infertility, perihepatitis, epididymitis, Reitera syndrome and pneumonitis. 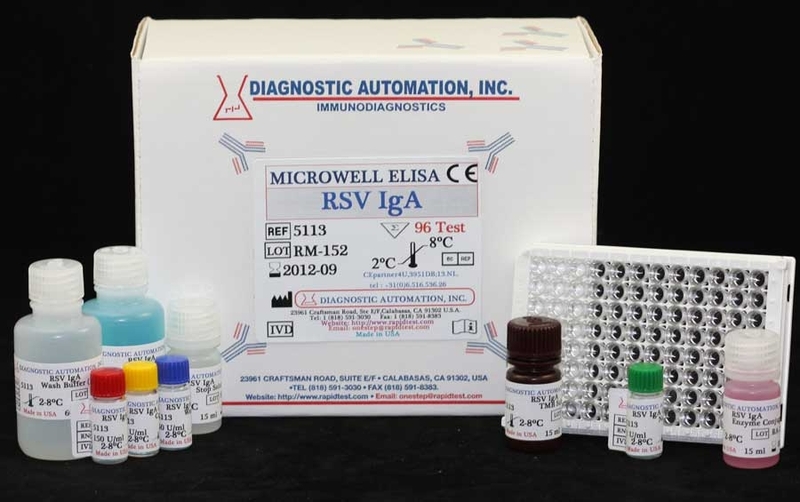 This Chlamydia Trachomatis IgG ELISA test employs the LGV type 2 broadly reacting antigen of Chlamydia Trachomatis. It will detect Chlamydia Trachomatis, Chlamydia Psittaci and Chlamydia Pneumoniae (TWAR) antibodies. Purified Chlamydia Trachomatis antigen is coated on the surface of microwells. Diluted patient serum is added to wells, and the Chlamydia Trachomatis IgG specific antibody, if present, binds to the antigen. All unbound materials are washed away. After adding enzyme conjugate, it binds to the antibody-antigen complex. Excess enzyme conjugate is washed off, and TMB Chromogenic Substrate is added. The enzyme conjugate catalytic reaction is stopped at a specific time. The intensity of the color generated is proportional to the amount of IgG specific antibody in the sample. The results are read by a microwell reader compared in a parallel manner with calibrator and controls.